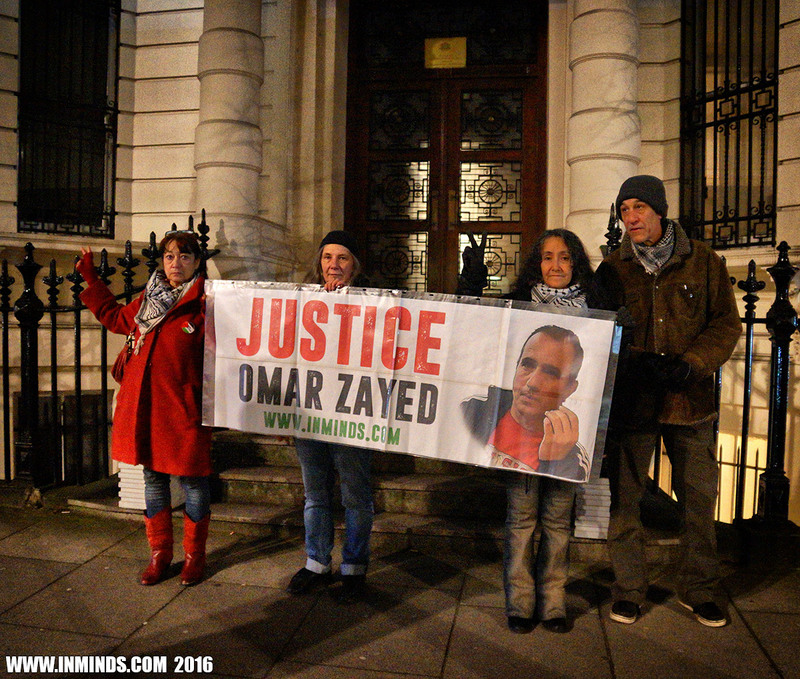 On 4th March 2016 Inminds organised a protest outside the Bulgarian Embassy in London to demand justice for former Palestinian political prisoner Omar Nayef Zayed who was assassinated last week by Israel in Bulgaria, in the precincts of the Palestinian Embassy in Sofia. 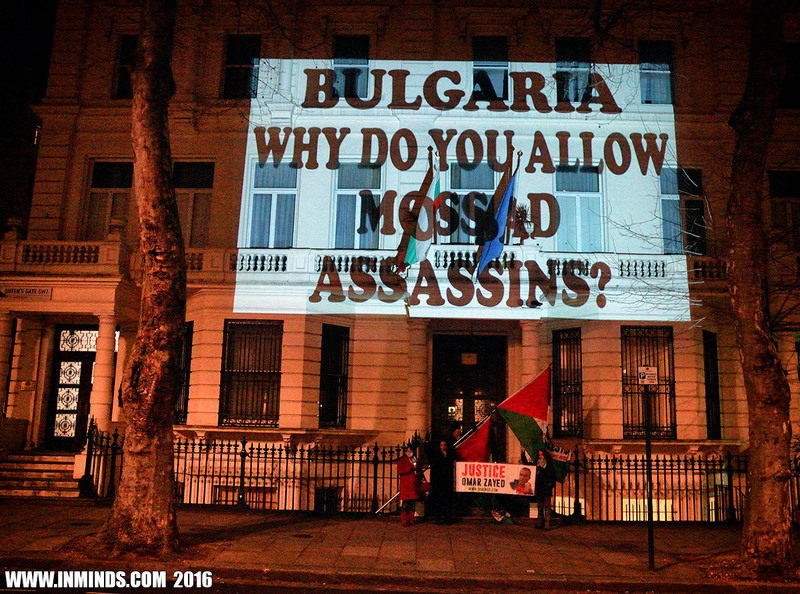 The activists demanded accountability and transparency from the Bulgarian authorities regarding the assassination and demanded Israel be brought to task for this terrorist attack on Bulgarian soil. 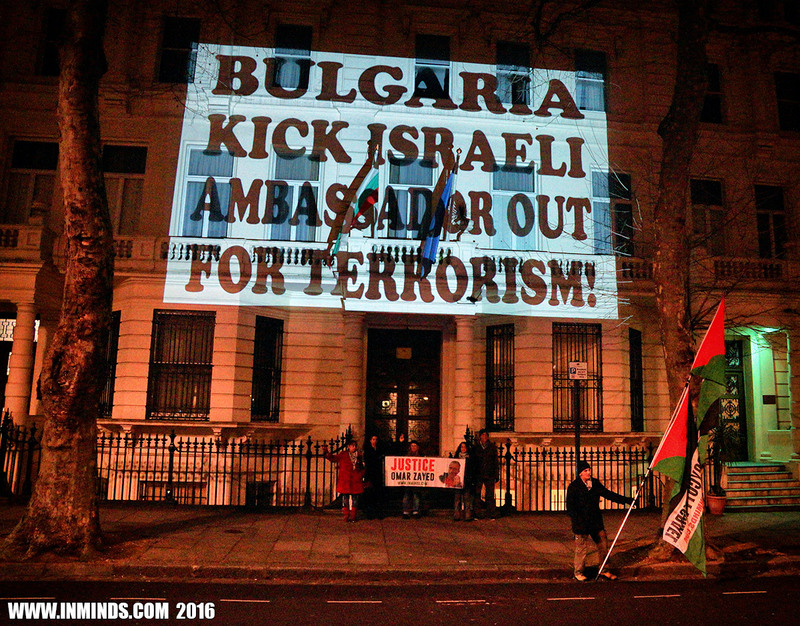 They projected images and messages on the walls of the Bulgarian embassy. 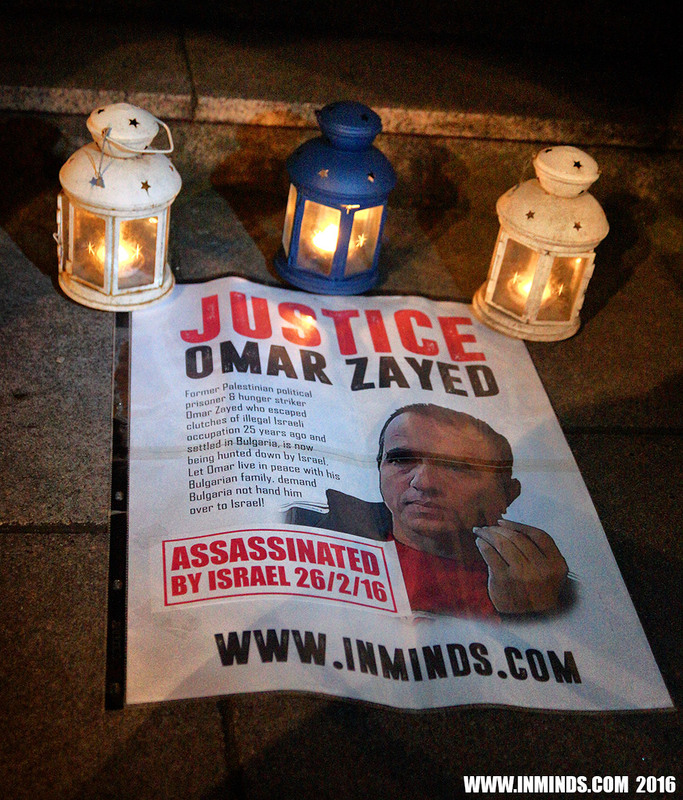 This is the fourth protest Inminds has organised in solidarity with Omar Zayed, apart from the Bulgarian embassy, other protests have targeted the Palestinian embassy in London and the british security contractor G4S who secures many of Israels prisons. 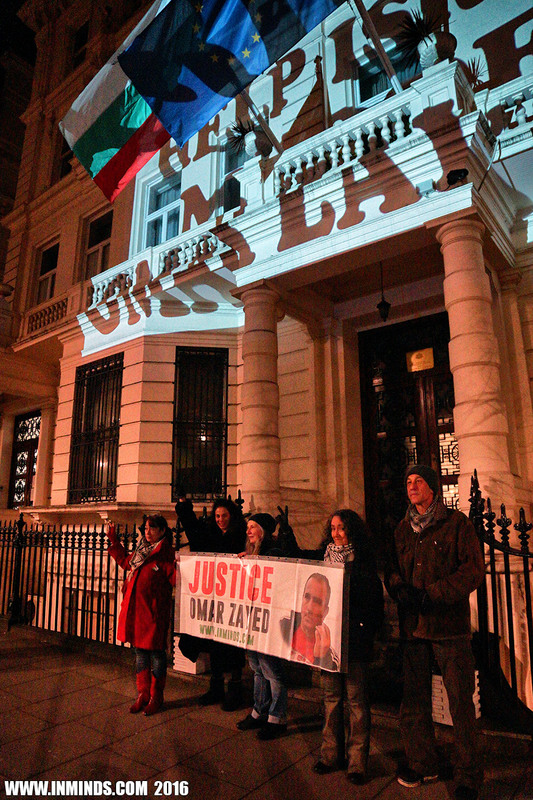 We are here today outside the Bulgarian Embassy in London to demand justice for former Palestinian political prisoner Omar Nayef Zayed who was brutally assassinated in Bulgaria last week on 26th February 2016. 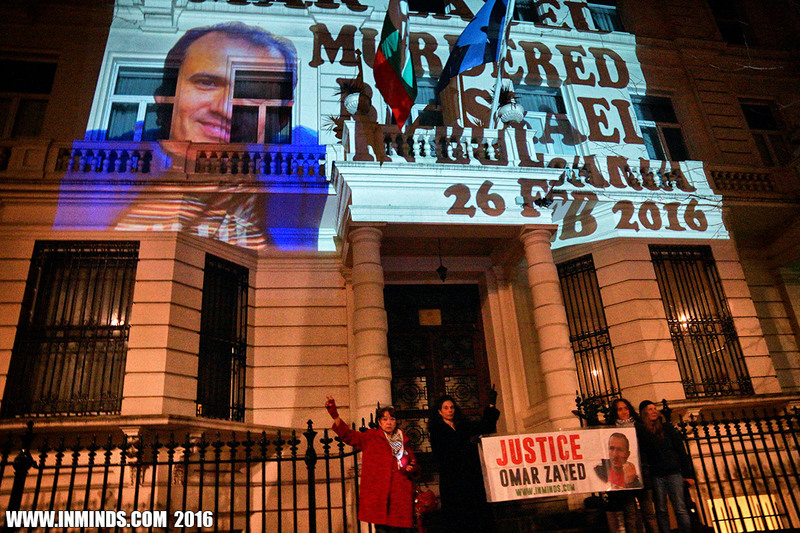 Omar Zayed had lived in Bulgaria for 22 years and leaves behind a wife and 3 children. 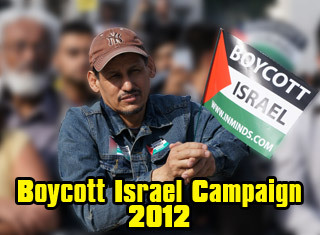 52 years old Omar Zayed was born in the illegally occupied West Bank city of Jenin. 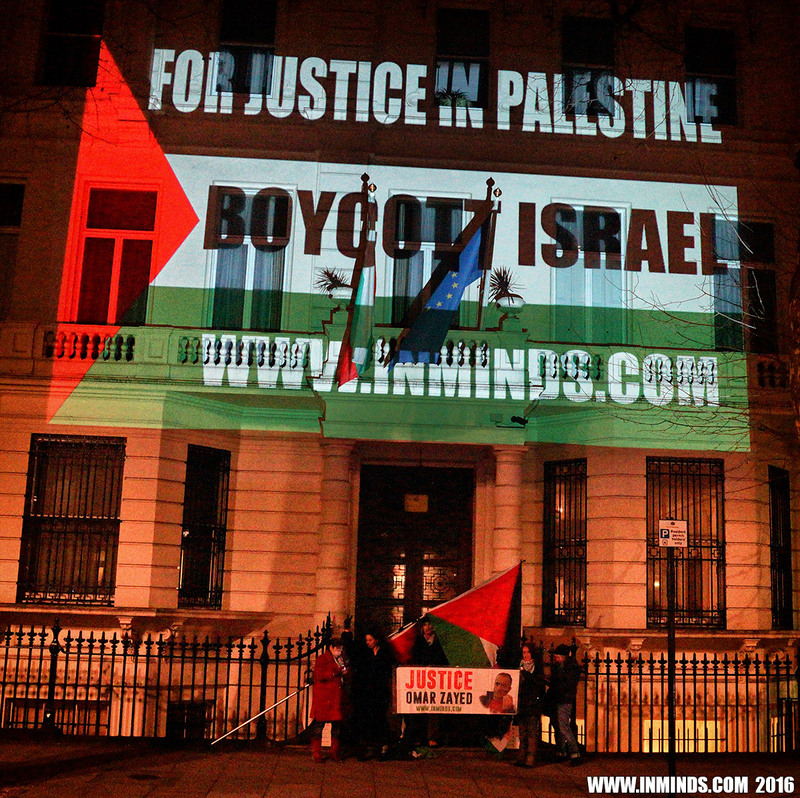 We has arrested in 1986 for resisting the occupation of his land by illegal Israeli settlers. 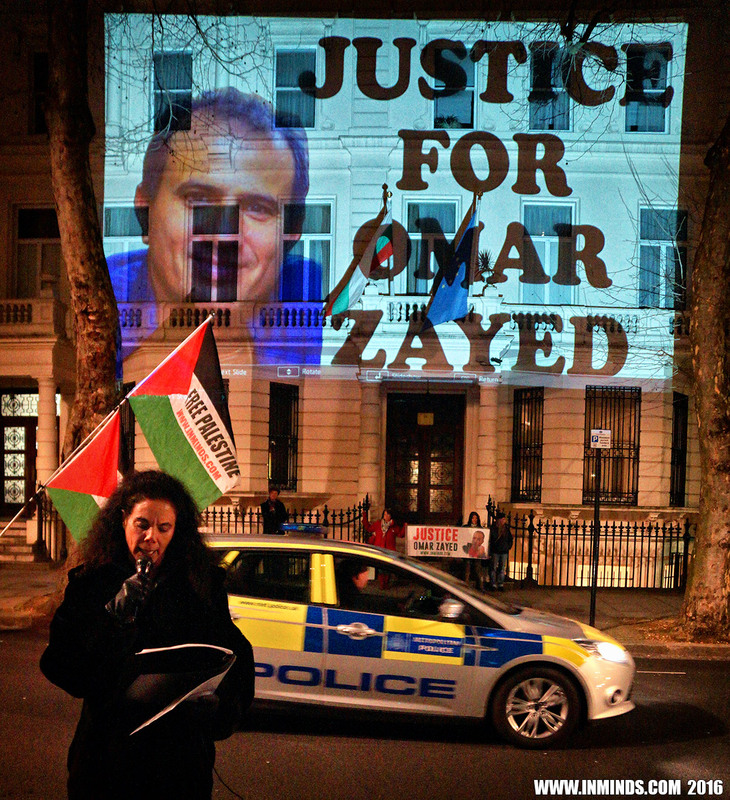 He was tortured by the Israeli occupation forces, and an Israeli military court with a conviction rate of 99.74% convicted him, giving him a life sentence. 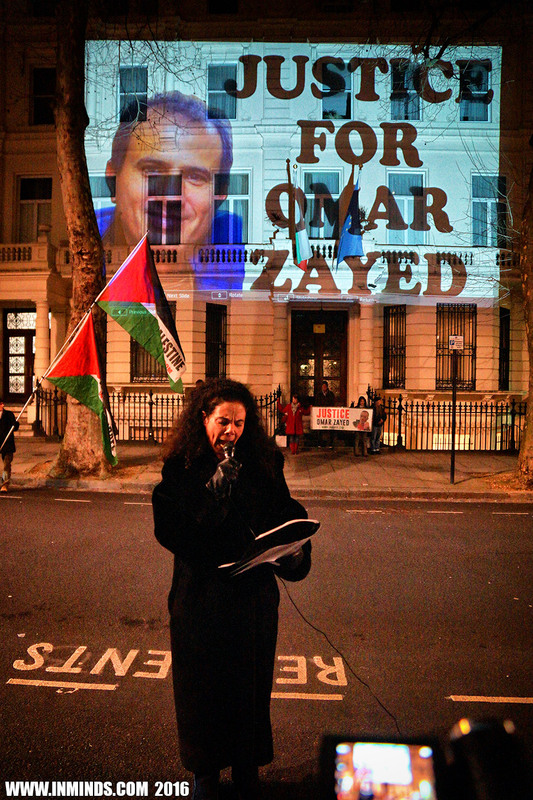 In 1990 Omar Zayed launched a hunger strike to protest his imprisonment. After 40 days without food he was transferred to hospital in Bethlehem. 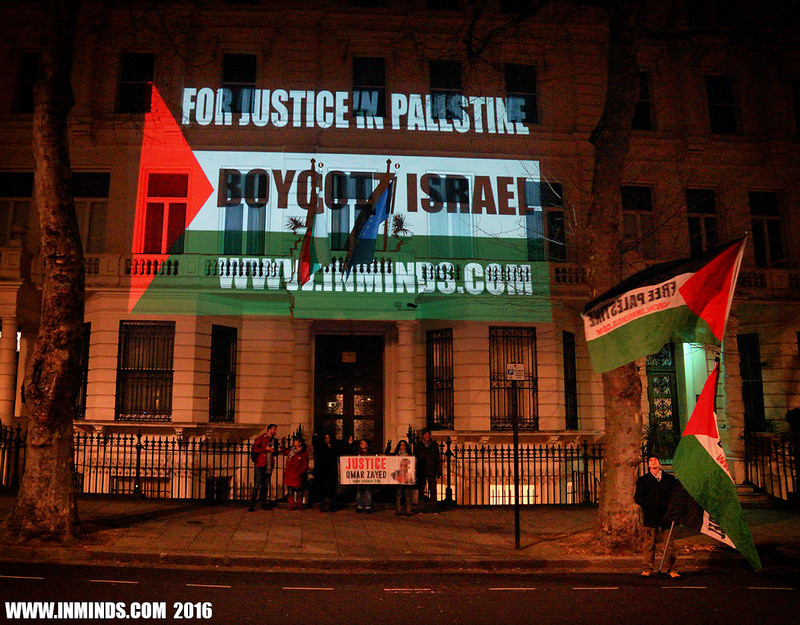 Whilst in hospital he managed to escape the clutches of the occupation and fled Palestine. 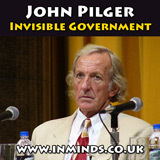 He finally found his freedom in Bulgaria in 1994 where he settled down and married his Bulgarian wife with whom he has three wonderful children. Together they ran a Palestinian grocery store in the capital Sofia. 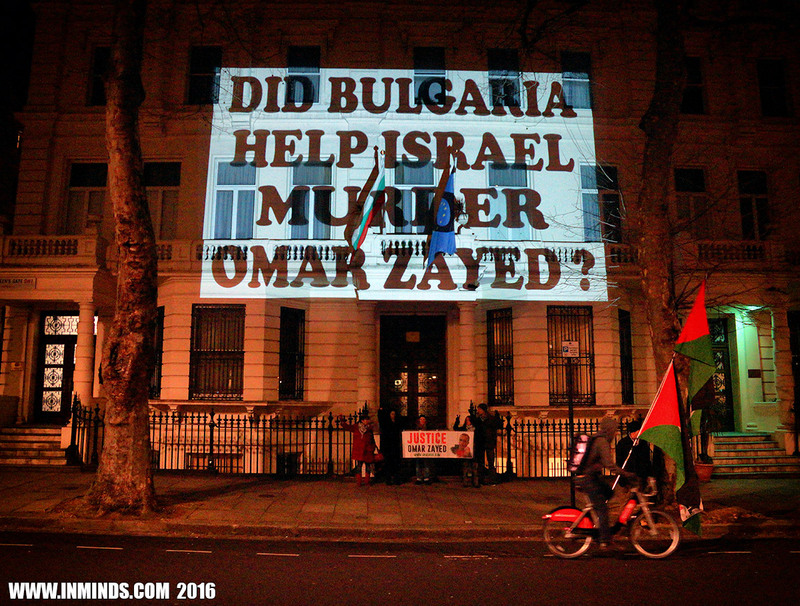 Omar had lived in Bulgaria for 22 years, he is a well-known and respected long-time member of the Palestinian community of Sophia. 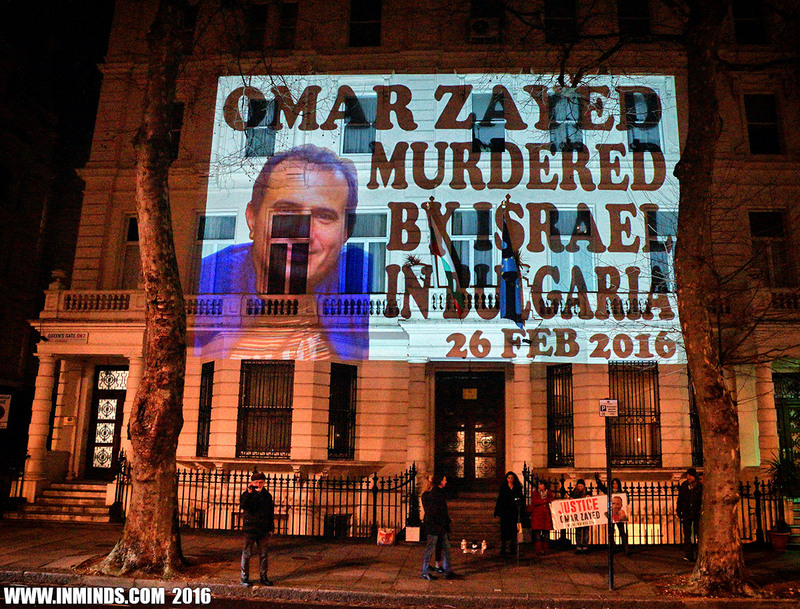 On 15 December Israel officially requested Omar Zayed’s extradition from Bulgaria. 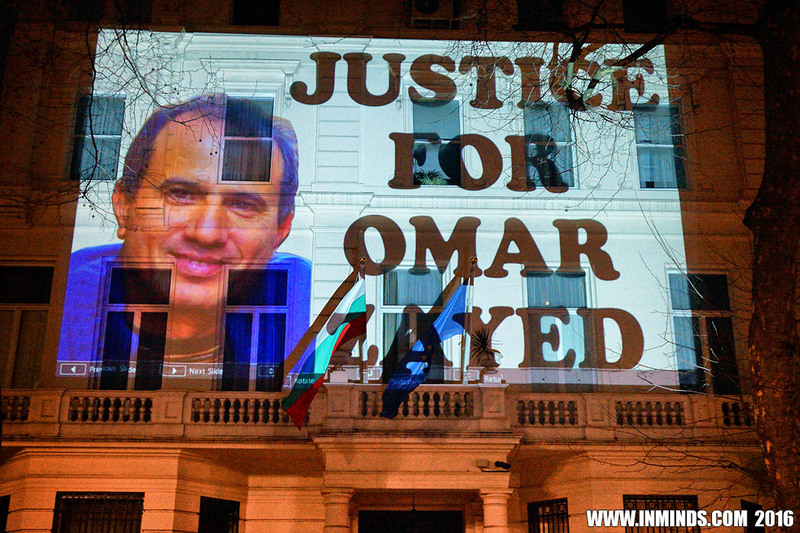 Bulgaria rather than challenge the request, gave Omar 72h to turn himself in which lead to Omar seeking refuge in the Palestinian Embassy in Sophie. The Bulgarian government and its embassies around the world had been petitioned to reconsider the extradition request on several grounds including Article 3 of the European Convention on Human Rights, which states it’s a violation for a country to extradite someone who as a result is likely to face torture. Human rights groups have documented Israel’s systematic use of torture, even during interrogation of young children. Figures from 2014 show that 75% of child prisoners are physically tortured. Some 700 cases of torture have been lodged against the Israeli prison service and yet not a single one has lead to a criminal investigation. 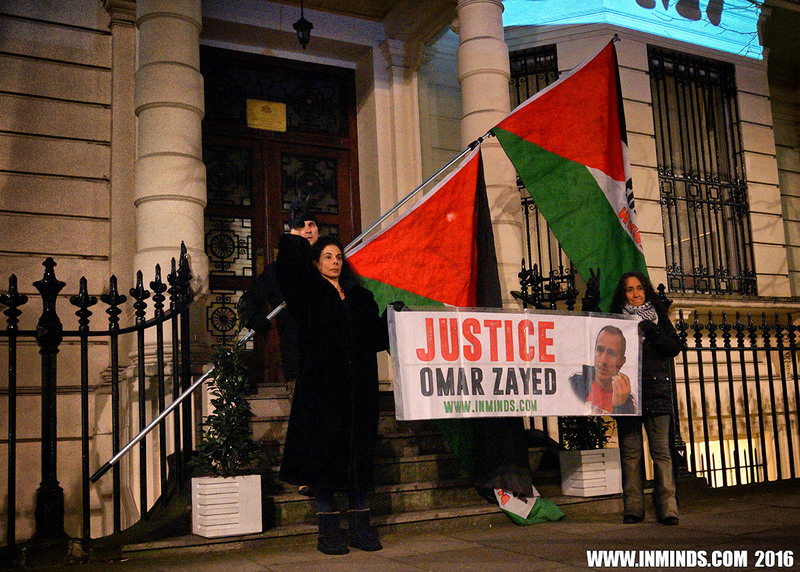 Omar Zayed himself was tortured when imprisoned in Israel before he escaped. 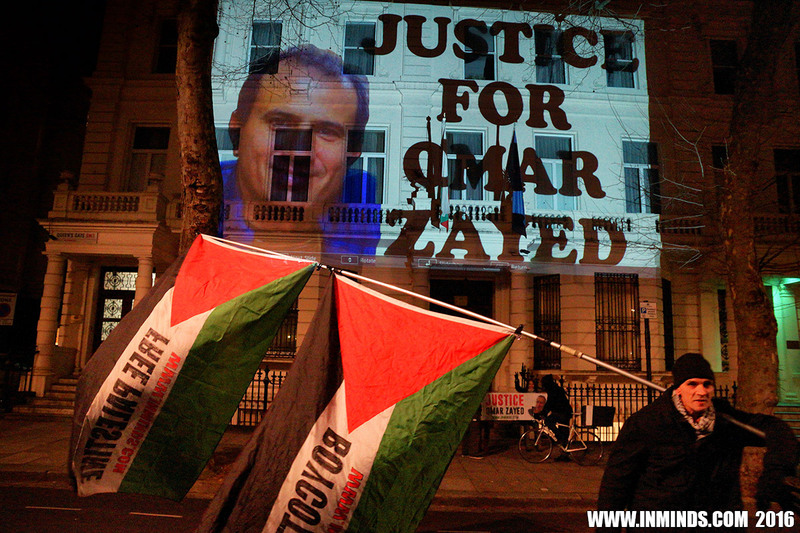 A legal challenge to the extradition order was being prepared whilst Omar took shelter in the Palestinian embassy. 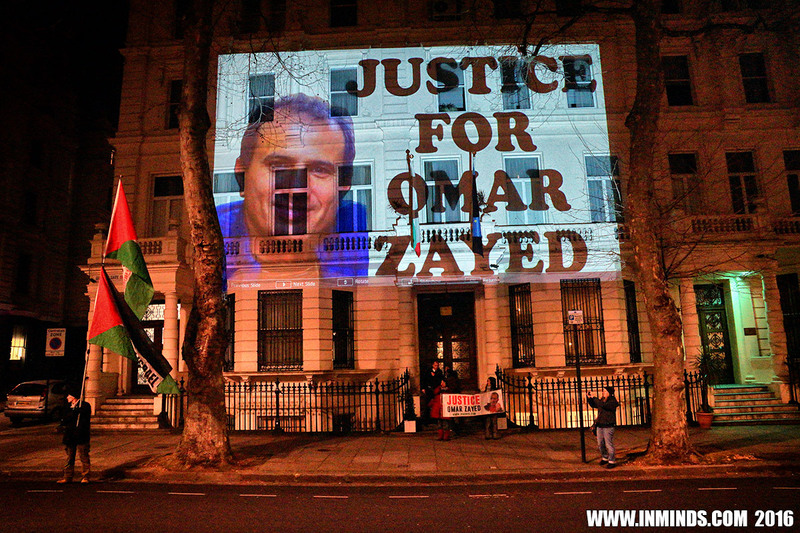 It would appear that rather than risk the extradition being overturned on grounds of Israel’s systematic use of torture, Israel decided to murder Omar Zayed. 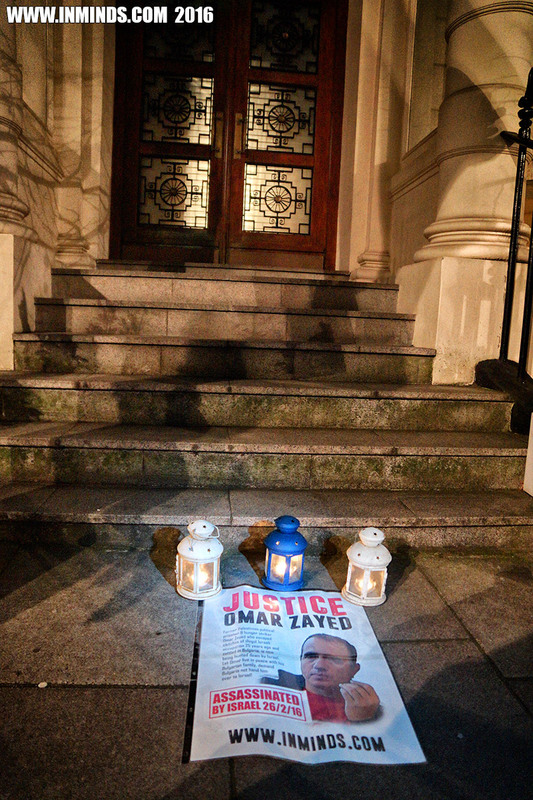 They assassinated him whilst he was still in the embassy. Reports suggest he was thrown from the third story of the building. The Israeli media were the first to confirm it was an assassination. 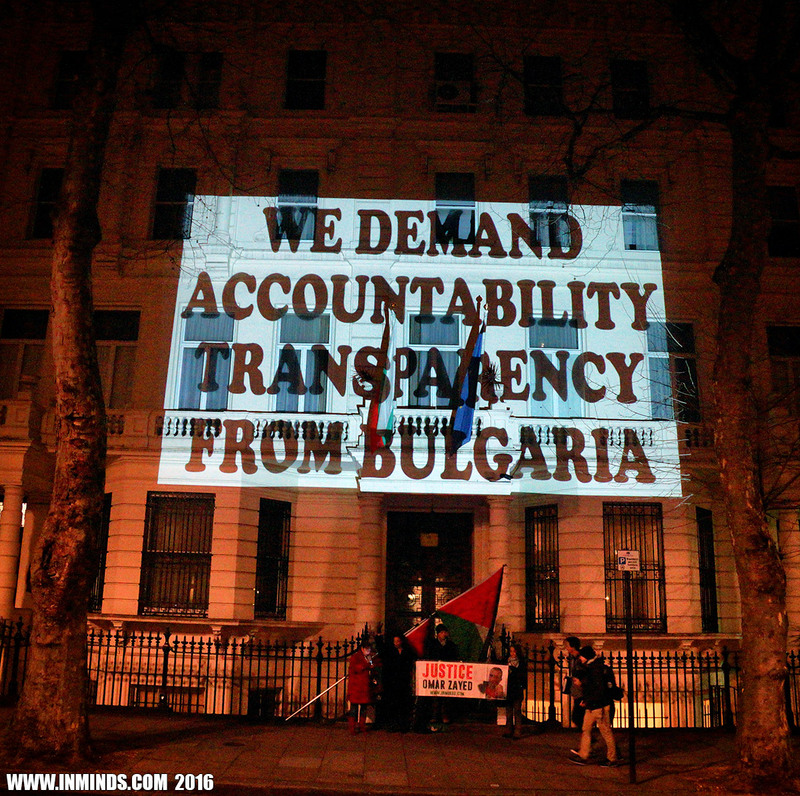 We are here today to demand accountability and transparency from the Bulgarian government. 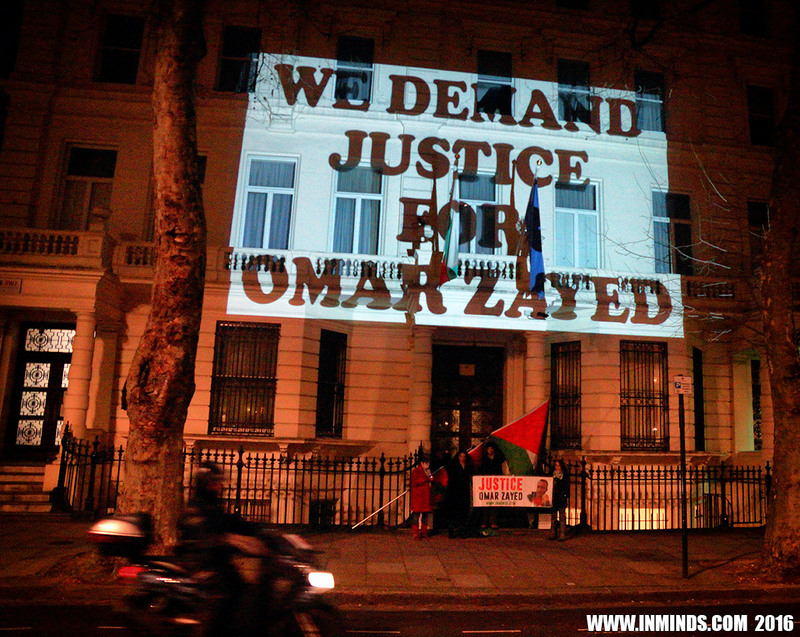 Why were Palestinians doctors prevented from attending Omar’s autopsy? 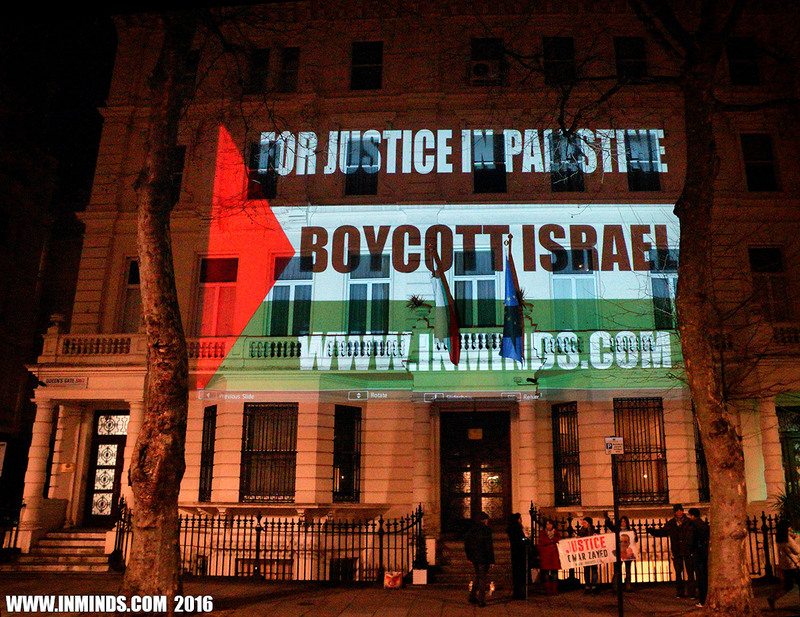 Why has the Israeli ambassador not been summoned over what is clearly, if the Israeli media is to be believed, an assassination ordered by the Israeli government. 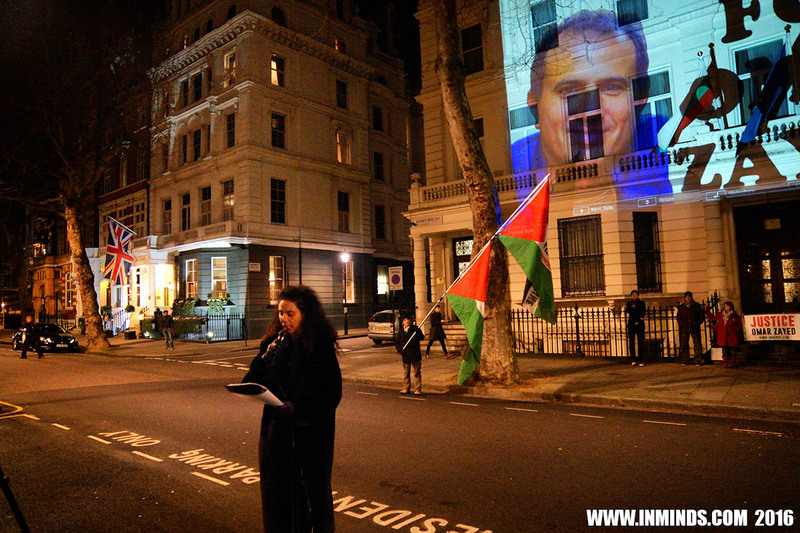 For such an act of terrorism the Israeli ambassador should be kicked out of the country, why is he still there? 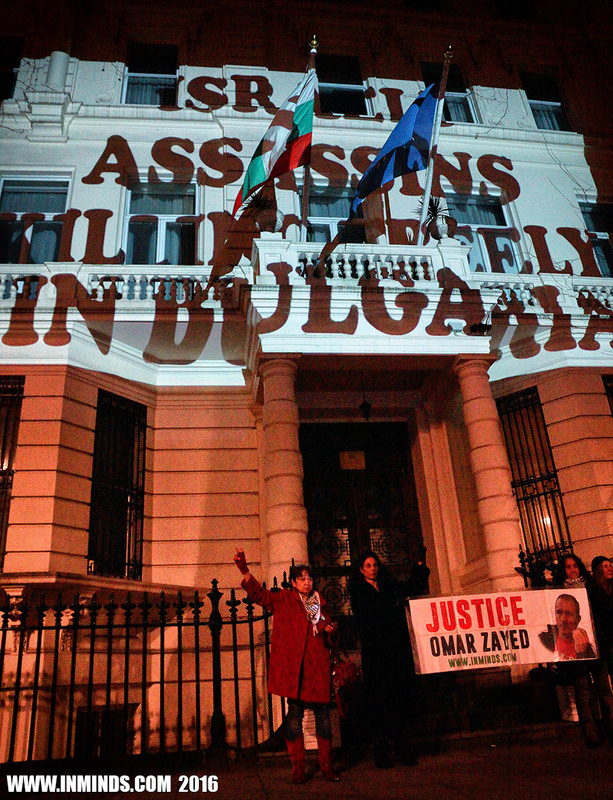 How did Israel’s assassins manage to murder on Bulgarian soil? 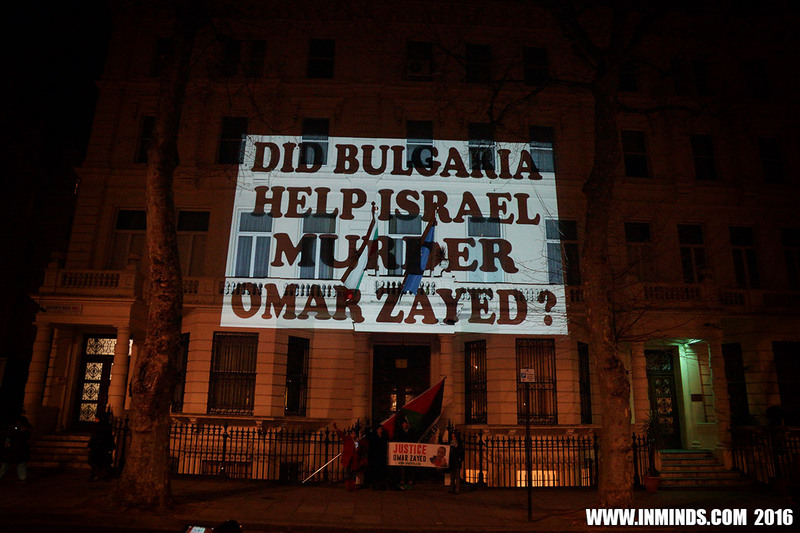 Did the Bulgarian government conspire with Israel in Omar’s murder? We demand answers to these basic questions. 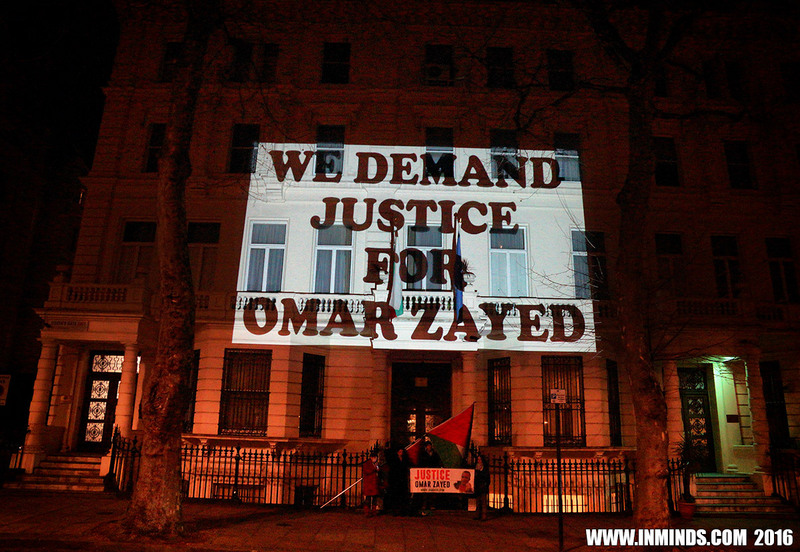 We demand justice for Omar Zayed!